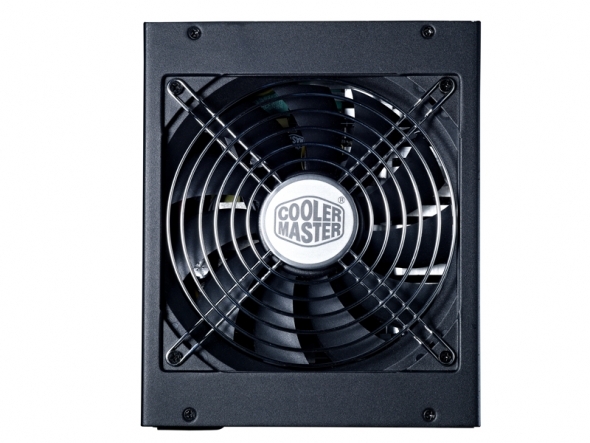 Cooler Master, an industry leading provider of computer chassis, heatsink, and power supply, has released the latest addition to their line of power supplies – Silent Pro Platinum. 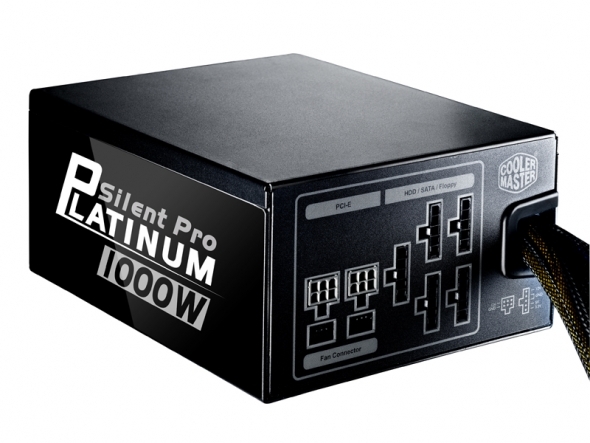 The Silent Pro Platinum is available in 1000W and 500W and is fully compliant with the 80-PLUS® Platinum efficiency requirement with peak efficiency up to 94%. 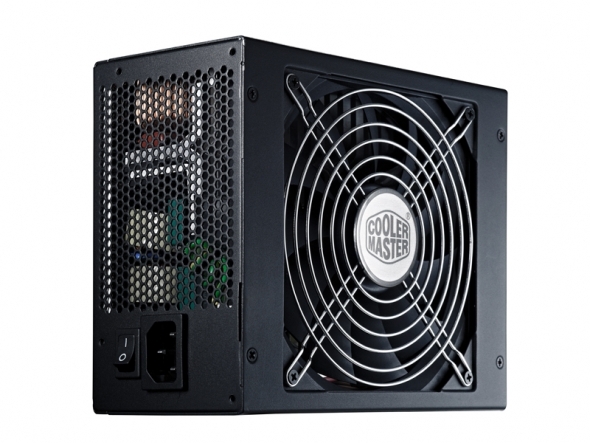 The 1000W model has+12V single rail output reaches up to 984W output at 82A, modular cable design with integrated dual 7V fan ports anda design that optimizes the unit for quiet operation. 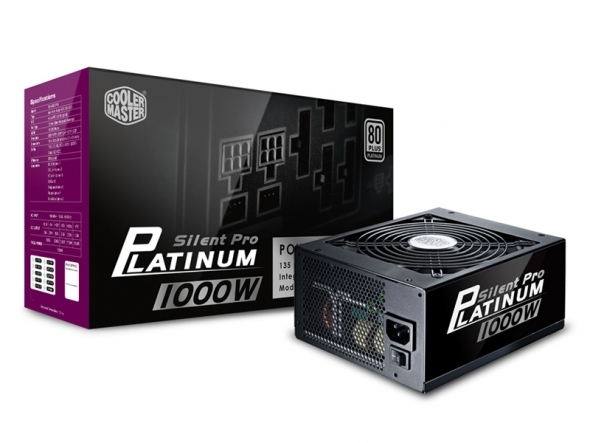 The Silent Pro Platinum series was designed for users who want a powerful yet quiet power supply. A single 12V power rail reaches up to 984W output efficiency at 82A, enough to power the latest high end VGAs and CPUs. The built-in parallel heatsink, silent hydraulic ball bearings in the 135mm fan and quality components such as double-layer EMI filter, LP9 structure transformer, multi-function IC controller result in lesser energy loss result in a much quieter power supply. PC builders can get the most out of their computer while saving energy at the same time. An 80PLUS Platinum energy efficiency certification ensures that Silent Pro Platinum can maintain a 94% energy efficiency across a 50% load level. 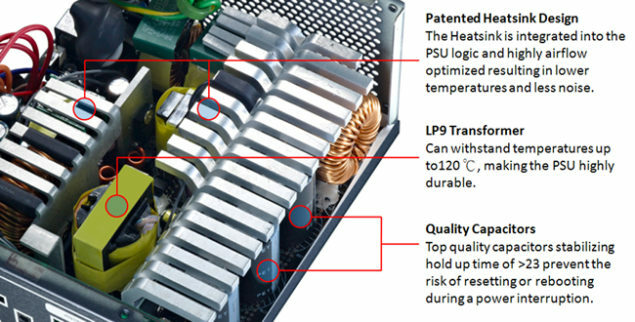 A LP9 structure transformer, that can stand temperatures of 25°C ~ 120°C, prevents energy loss. 5Vsb current uses less power in off-mode than typical PSUs. Another feature that helps improve the power efficiency is Hyper Path&trade; which is a “hyper link” between the transformer and the various power conversion components. The “hyper link” results in almost a loss-less transfer of energy. As a result of all these features, Silent Pro Platinum is ErP (Energy-related Products) and EuP (Energy Using Product) Ready. The Silent Pro Platinum series ensures that you have the right connectors to build almost any system desired, with the 1000Wunit coming with the following connectors: 2 x CPU 4+4 pins, 6 x PCI-e 6+2 pin, 12 x SATA and 2 x 7v fan cables. The 550W and the 1000W Silent Pro Platinum is now available with a 5-year warranty on: Availability and pricing will vary based on geographical region.